To celebraate the release of The Funkoars single “It’s All Good (Is Very Good)” the guys have created a Tumblr account. 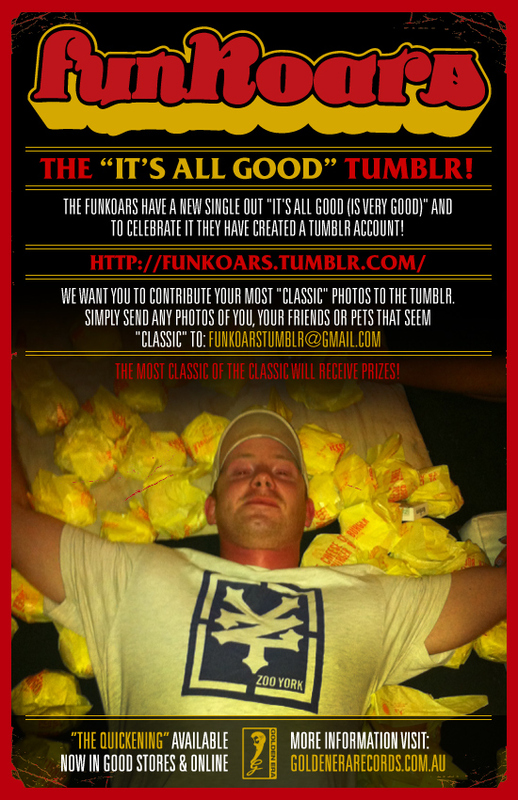 The guys want you to submit your most “Classic” photos to funkoarstumblr@gmail.com. The most classic of the classic will win prizes! A certified party anthem It’s All Good (Is Very Good) has consistently been the stand out track performed on The Funkoars national album launch tour and gathered one of the biggest responses during their headline performance at Brisbane’s Sprung Festival. The Funkoars new single is available now on iTunes. The single package includes two exclusive remixes by Trials and Debate with a guest verse from Mortar. Produced by Funkoars group member Trials (Hilltop Hoods, Drapht, Ash Grunwald), It’s All Good (Is Very Good) is poised to be a summer anthem! While you’re at it check allaussie hip hop out on Tumblr by following the link below.